Large sterling silver Celtic cross. Measuring 2 inches in length, this cross is the perfect size to be worn by a man. Measuring 2 inches high, this beautiful sterling silver Celtic cross is perfectly proportioned to be worn by a man. The detailing on the cross features an intricate trinity knot design. Handcrafted in Dublin and hallmarked at the Irish Assay Office in Dublin Castle. Guaranteed Irish jewelry piece shipped for free from Dublin. 30-day money back guarantee available on all purchases. 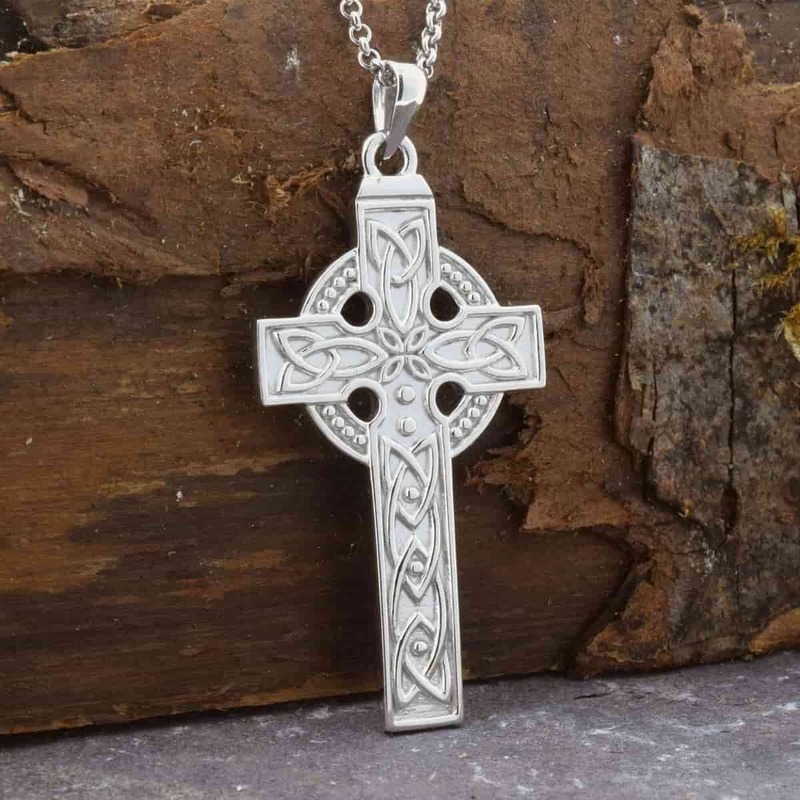 20mm wide by 48mm high (including bale), this Celtic cross is fitted with an 18 inch sterling silver chain.